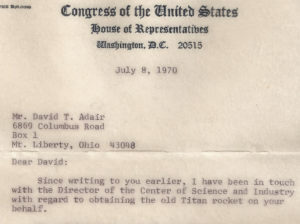 Space technology transfer consultant and former rocket whiz kid David Adair speaks out in this interview about his remarkable encounters with an alien engine, DOD agents, and Air Force General Curtis Lemay in 1971 at Groom Lake, Nevada (Area-51). Hear first hand testimony about advanced alien technology and our military’s most closely guarded secrets surrounding the UFO phenomena. 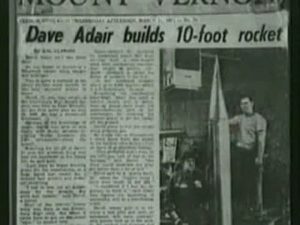 According to his bio, David Adair built his first rocket when he was 13, and at 17 won an award for “The Most Outstanding in the Field of Engineering Sciences” from the U.S. Air Force for his construction of a 10-foot tall, half-ton missile that set the fastest speed record of any missile flown at the time. Adair explains how he built an electro-magnetic containment plasma fusion rocket engine and was invited by Air Force bigwigs to launch it at White Sands Missile Range. (This was built with the help of his father who was a mechanic for Nascar and had access to a huge, state-of-the-art machine shop and technicians. He ran into troubles with the math early on, and allegedly his work was sent on to none other than Stephen Hawking for assistance.) 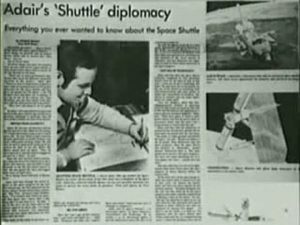 That led to his being taken to Area 51 where he saw an engine that was light years beyond anything on Earth – so sophisticated it responded to the thoughts and emotions of it’s pilots. Interestingly enough, Adair talks about receiving his information from dream states, a common denominator for a lot of musicians, scientists, spiritualist and religious figures since the beginning of recorded history. The original interview aired on UFOTV Season 1, Episode 40 some eight years ago and offers insight into the advancement of today’s Artificial Intelligence. Could this part of the AI question also pertain to advanced symbiotic technology? Is AI just a metaphor, for machines that can think and feel on it’s own? Can we assume the next generation of AI is actually growing into a level of artificial consciousness? One might surmise AI is just sophisticated programming language and I am sure it was and is, however Adair is actually thinking in terms of a type of engineered consciousness that can interface with our very own minds. After all, Lockheed Martin’s latest generation F-35 fighter jet uses helmets that interface with a pilots thoughts, not to mention combining augmented virtual reality with real world battlefield events. Recently posted on the Bigfoot Evidence youtube channel. 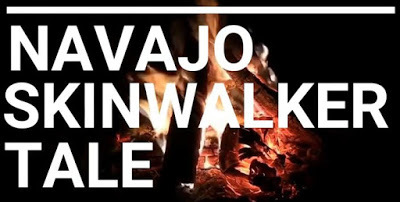 Tales of bigfoot on Navajo land, and rumors of the skinwalker. Are they the same thing? 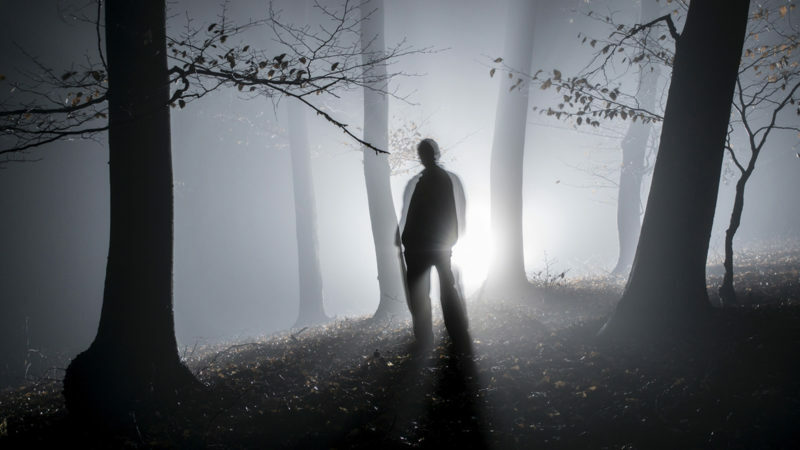 Multiple accounts of Bigfoot photographed on Navajo Indian reservation. One account is the most speculator and has to be shared. MrMBB333 of YouTube recently released strange UFOs that was claimed to be caught on live. These unidentified flying objects appear to float in a place and make little movement. 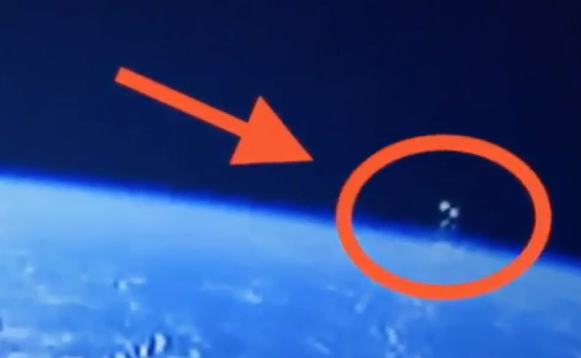 The video, which was reportedly taken on March 17, 2018, seems to show something high above the earth and visible from the International Space Station (ISS).